I had such fun visiting with Kate and Ryan Parker (of Kate Parker Weddings and DJ Ryan Parker) again this week. Now three months old, I cannot believe how much little Zachary has changed since I photographed him at just 3 weeks! It's fascinating for me to watch my friends with their own children. Kate is not the same person I saw three months ago. She's really fallen into her stride as mommy. Little Z hangs onto her. They are so adorable (this word may be used repeatedly in this post) together. Me? I received a lot of curious looks. He is definitely curious about all of his surroundings. And we can't forget Miss Lola. She has such attitude for a little thing, doesn't she? Kate thought it would be fun for me to capture "a first"... Zachary petting the dog. Lola wasn't too sure. Eventually, there were puppy kisses (another first!). And before a wedding planning meeting (picked flowers! ordered linens! Yay! ), we took a few new headshots for Kate. And one more of the little guy, for good measure. Love the hair. View Kate's maternity session here. View Zachary's 3 week shoot here. Coming up, our wedding and then Zachary's 6 months! Congratulations to Kim & Ping for more press of their gorgeous Michigan wedding in Brides Magazine Michigan spring edition (on newsstands now). Kim & Ping's original blog post here. Kim & Ping's slideshow here. So touched to be asked to join the It List for Southern Weddings Magazine (this is by invite only and, unlike some other online preferred vendor lists, is not a paid advertiser list). 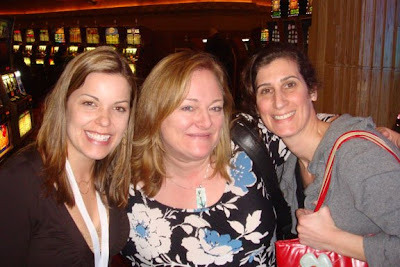 I met editor Lara Casey and her splendid staff at engage!08 the encore in Orlando last fall. They spotted Kim & Ping's Michigan wedding on my blog and asked to feature the beautiful details in a three-part blog post. Check it out! I love and appreciate the girls' attention to detail and consistently great content. There are days when I miss a newsroom abuzz with the latest breaking story or the camaraderie among photographers while spending long hours waiting for a press conference on Capitol Hill. No longer a newspaper shooter or editor, I have worked hard to recreate a like-minded community in three different areas for wedding photographers: a charity (Pink Initiative), a workshop (Roots Workshop) and a directory (News Wedding Photographers). I felt a great sense of excitement to see these three efforts together in print in the February issue of Rangefinder Magazine. Thanks so much to everyone who has contributed to their success so far! This is the Roots Workshop 2007 class during our New England clambake celebration. I can't wait to go back this July (registration now open!)! Congratulations to Joanna and Joel, whose June wedding at the Inn on Peaks in Portland appears in the spring issue of Real Maine Weddings magazine. Joanna and Joel's original blog post is here. Joanna and Joel's slideshow is here. Joanna and Joel's interview for my studio video here. Wow. What a whirlwind week at WPPI! I am happy to report that my Master Class on branding was a fantastic success. 40 enthusiastic wedding, portrait and pet photographers contributed to a lively and fun session on branding. I wasn't sure that I'd be able to fill 2 hours of talking, but I think we could have continued for a few more! I've already received some fantastic feedback from student Dana Pugh in Calgary: "Thank you so much for your concise and well thought out presentation. It was the best of the master classes I attended. Worth every single penny and thensome. I now feel that I have the tools to take my branding to the next level." Congratulations to student Jessica Kamm who won $1700 towards a liveBooks website in a raffle to help brand her business! And many thanks to Christine at Simply Canvas for giving each student $50 toward a canvas gallery wrap (Simply Canvas also supports my Roots Workshop). And to Roy at Triple Scoop Music for raffling off royalty-free songs for web and slideshow use (the slideshows on my website have been updated with these beautiful, legal tunes). 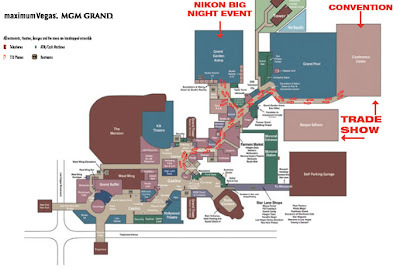 WPPI was held at the MGM Grand this year (it was at Paris/Bally's in previous years), the largest hotel in the world. After having stayed there for 5 days, I'm still not sure I know the fastest way to maneuver the casino floor (but am very thankful for friends on Twitter to follow where folks were). (I am so grateful for having packed a pair of flats. :) I wore them almost everywhere! I wouldn't have survived without these cute orange French Sole's). A few months ago I was asked to participate in a mentoring auction to benefit the charity Thirst Relief (providing fresh, clean water to those in need). I met with my auction's winner Melissa Kelsey from Salt Lake City for a leisurely (and much needed) coffee break to talk about Melissa's business, pricing strategies and marketing. Melissa also received a partial scholarship to my Roots Workshop this summer, and my fingers are crossed that she'll be able to attend so we can spend more time together. 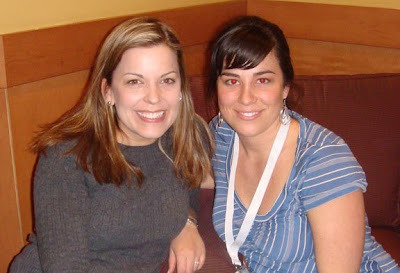 Thanks, Melissa (excuse the crazy red eye of my point & shoot!). Seeing my dear friends Jenn Domenick (center) and Mary Gardella-Hester (right) of Love Life Images in Columbia, MD, is always a highlight of the week. Jenn and I worked together at the Washington Post before getting into weddings. And she's a mentor at my Roots Workshop each July. Since we only see each other twice a year, we spend as much time together as we can. I had resolved to treat myself to a spa day in January while in the height of my busy season last summer. It didn't happen in January but Jenn, Mary and I spent one morning this week relaxing at Qua Baths & Spa at Caesars Palace. What a treat indeed! Luxurious roman baths, a steam room, a sauna and an ice room (felt like Maine in there!) supplemented traditional massage treatments. I opted for a full body scrub treatment called Morning Dew. I will likely be daydreaming about that experience for the rest of these cold, raw, dry winter months! When I wasn't prepping for my presentation (which was on the last day of the conference, like a lingering final exam), I was tasting some delicious food (I had the vegetable chopped salad from Wolfgang Puck's three days in a row), shaking it at one of the many parties scheduled each night throughout the conference (a live Blues Traveler concert for just WPPI participants was definitely the best, tho Pictage's dancefest at Studio 54 was a close second), and roaming the tradeshow floor (J amazingly did not lose his voice at the liveBooks booth this year). WPPI is a perfect mid-winter business energy boost. I am so grateful for having participated, and am looking forward to the next opportunity to gather with such fun, talented photographers! After our exciting raffle announcement last night and a few hours of shut-eye, our bags are packed and we're on our way to the airport for a busy few days in Vegas!! If, perhaps, you got engaged on Valentine's Day (congratulations!) and you want to reach me, I will definitely be checking voicemail and email. Otherwise, the schedule below outlines where I'll be when, for the most part, until Thursday. Have a great week!! Campaign for Change raffle winner announced!! Happy congratulations to Campaign for Change raffle winner Larissa Banting!! I am so excited to hear all about the plans for the winning wedding! I'm so grateful to everyone who entered for the opportunity to win a wedding photography package with emilie inc. To thank you for your generosity, I would love to offer you 10% off my wedding day creative fee! Pink Initiative is off to a great start! $50 wedding photography coverage raffle! Happy 2009!! To kick off the New Year, I am extending a ridiculously crazy good offer to all my loyal blog, Twitter and Facebook friends, and, well, anyone!!! 2. Please send this post's link along to at least 10 friends. Remember, anyone can enter. 3. Be sure to check out the Pink Initiative site here. Thanks for your support! Happy New Year! It reached 50 in Maine today! It was so nice to go outside without being bundled up to my eyeballs and is a subtle reminder that spring is coming... slowly, but surely. Before it does, however, J and I are looking forward to scooting down to Mexico next month for a wedding in Playa del Carmen. We received the sweetest surprise in the mail yesterday from our clients (who will remain anonymous for now), including custom Corona bag tags (by The Stylish Scribe) and a travel "Spanish for Dummies" book. So thoughtful!! I am so humbled by the response to my Campaign for Change raffle! Thank you so much for passing the word to your friends and family, for purchasing tickets and for the heartfelt emails detailing how breast cancer has affected you. I am so moved by some fellow vendors who have purchased raffle tickets and are offering them as their own contest for their clients, too! And huge hugs to the vendors who are already reaching out and want to be a part of our Pink Initiative efforts. Wow! Just 5 days left to enter! 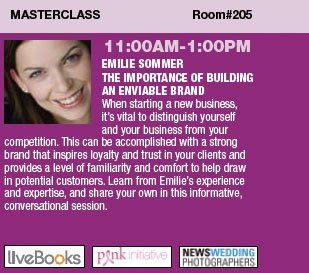 Next Wednesday, I'll be leading a master class on branding to 40 photographers at WPPI in Las Vegas. As I have been working on my presentation, I seem to notice examples of branding everywhere- including my mailbox! I was so impressed when the (new! seamless!) Spanx I ordered for my wedding dress arrived in the mail in perfectly branded packaging! Another affirmation that the woman behind this household product, Sarah Blakely, is genius. "To build my brand...duh! :) I've only being doing this for about a 1 1/2 years and I'm looking to conquer my city! I want to set myself apart from other photographers in the area. There are plenty of us but also plenty of clients to go around. I need to figure out how to draw clients to me!" "I checked out the master class speakers websites and LOVED yours. After reading your blurb on 'Importance of Building an Enviable Brand' I was even more interested. I have been struggling for YEARS trying to get my brand DIALED in. I want there to be a fluid transition between EVERYTHING. I know how important branding is, so I really hope that I can get some good, simple ideas from your class. I am WAY looking forward to your class!" "My business partner and I had been looking at lots of sites but had not seen visual identity carried through and through in such a lovely and consistent way. You’ve done a beautiful job. What we love most: that the look of your brand doesn’t seem at all forced. It’s simple, clean and elegant. Now when we think of beautiful iconic branding in our industry that we admire, we think of you first!" Very excited for this class! With less than three months until our wedding day, I want to share a quick update of how things are coming along (you can read more over at www.emilieandjason.com). I've really enjoyed this process, and, gosh, I have such an appreciation for what all my brides and grooms have gone through before me! What fun to have this "insider's" perspective. As you know, J and I are getting hitched on the island of St. John in the Virgin Islands. We chose this destination to do something different than the scene we usually photograph in New England. Not being familiar with the location or best vendors (their "island time" responses drive me nutty) has, in essence, given me a fresh look as to what it's truly like being an everyday bride. Having always loved orange but hardly seen it at weddings, we settled on orange and blue as our island wedding colors (ironically the colors of Pictage, and how we met). It's been a gratifying affirmation to recently read all the fashion mags saying orange is THE color of the year. Look at us, ahead of a trend! We aren't going to have a "typical" wedding day. We'll be married on a beach, and then all pile in a safari-style taxi truck to be transported to the top of a mountain for an outside dinner party at the villa we have rented for the week. Clearly our experience photographing more than 250 weddings has helped inspire our ideas, and the feeling we're hoping to create. We're very lucky to have the talented Kate Parker of Kate Parker Weddings traveling to the island with her husband Ryan to execute it all. Kate gets our vision and we trust her whole-heartedly (seen here from a recent photo session with baby Zachary). Jules Bianchi, an LA-based photographer I have long admired and friend of J's from his Pictage days, is traveling to the island with her sister Joy to capture the festivities. We're so looking forward to hanging out with these twins (and their significant others, who are making a vacation out of it and staying the week) and their undeniably fun energy and mad talent. My longtime beloved friend Julie, a graphic artist at USA Today, will be marrying us. She was ordained by the Universal Life Church (online!). When we asked her to do the honors over the phone, there was a confused silence on the other end of the line and then a huge shriek of excitement when it sunk in. We can't wait! A favorite minister from DC, Rev. Amanda Tate, has loaned us all of her ceremony documents to help up put together a meaningful ceremony. We won't have chairs; all of our guests will stand in a circle around us (I had a dream that looked like this soon after we were engaged). Clients turned dear friends Kelsie and Rejean (who also appear in my studio promotional video on my website) had us over to their house for dinner one night months ago. It was one of the most amazing meals we have ever eaten! When our meetings with caterers during our November scouting trip (and some of their correspondence since, as mentioned above) didn't meet our expectations, we started brainstorming other options. We kept circling back to that lovely dinner at Kelsie and Reg's, and were ecstatic when Reg was able to work a trip to the island into his busy med school rotations. Deciding on the smaller things- our invitations, shoes!, J's suit, flowers, my orange parasol!- has been the most fun and I'll post more details about those things soon. For me, the most un-fun thing so far was finding a dress. Pressed for time (and therefore having to buy something in stock) and seeking something simple which is appropriate for the beach & heat was a challenge made worse by a cranky consultant I initially met with at a local bridal shop. On a return trip (and with a sweetheart of a saleswoman- I made sure to go back on the other gal's day off), my mother urged me try on a dress I had liked, but not loved, from the first visit. Wouldn't you know, it turned out to be the balance of what I liked in two other dresses, and ended up purchasing it (on sale! Tho, the alterations will cost just as much as the dress. Grr). Mother truly does know best, doesn't she? "I lost my mother to breast cancer when I was a child and I have never missed her more than I do now while trying to plan this wedding. It seems like the obvious team - a bride and her mom- do everything together from the florist to the dress fittings and it has been very interesting to do these various planning phases alone or with just friends. To be honest, what first attracted me to your website was your "campaign for change." I was browsing one of the many blogs that I check out on a daily basis and saw a post for this contest. I thought that was something that I definitely had to do but then when I clicked on your website and saw that you were from Maine... well then I just took that as a sign and knew I had to contact you myself and not just take a chance on the raffle. (By the way I was so excited about e-mailing you back that I haven't had the chance to pledge my $50 but I will absolutely do that!) Anyway, with all that being said, I really respect what you're doing with your business and I love that you are supporting to a cause so close to my heart ." I have my first dress fitting tonight and am so lucky that my mother is able to come with me. You may recall that we did a vendor tour with Joya Beauty last year (click here for the original blog post). Today, my mug appears on the home page for the Joya beauty website! Wow! And the images from the vendor tour (photographed by J and me) are also inside the site. If you're getting married in New England and are looking for a beautifully gifted make-up artist to come to you on your wedding day, look no further than Joanne. She did a beautiful job with my make-up at my studio opening, and I see her often for facials too! WPPI master class Sold Out! My master class on branding at WPPI has sold out! I've been in touch with the 40 students who signed up to inquire about what they want to get out of the workshop, and look forward to a conversational approach to my presentation with our group seated in a circle to foster an open discussion (something I haven't seen and always wished I did). Really looking forward to catching up with a lot of familiar faces and meeting many new ones, too! I have updated my New England recommended vendors list for 2009. Clients, please logon to the client access section of my website to download your PDF. Happy planning! Congratulations to Lindsay and Tim whose June wedding at Rockywold Deephaven Camp in Holderness, NH, is featured in New Hampshire Magazine's Bride 2009 issue. You can see the original wedding blog post here, the rehearsal slideshow here, and the wedding day slideshow here. We loved this wedding weekend!